Have several vinyl windows in need of pivot bar shoe replacement. Considered various options and believe best is to notch the channel that the shoe travels in. Hello RFM. Welcome to the Community! There are specialty tools made to handle this. A pair of jamb spreaders will do the trick, but they are pricey, especially for a set of tools only useful for one task. The oscillating tool is useful for a variety of jobs, but I think it would be somewhat difficult to use on this one. 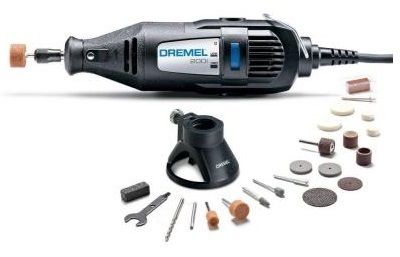 For me, a standard rotary style Dremel tool would be ideal, along with a saber cut bit. Yes, it is a freehand job, but the tool's small size and ease of use would be of benefit here. Are you saying you can't find a shoe that fits the existing channel and want to make the channel larger? I just found this website and they seem to offer shoes in bunch of sizes. Ii have the shoes - the window manufacturer provided replacement bars and shoes. Neither the failed nor replacement shoe can be moved without spreading the channel or cutting a small section - bottom for top window and top for bottom window. Manufacturer says to heat channel and spread and that vinyl has a memory of its prior shape. I am concerned about this and more recently produced windows have the notch cut in the channel. If I'm understanding you correctly, you need to remove a small section of the front (or side) of the channel so you can slide the shoes out? If so I think an oscillating tool would be the way to go. Just about every major manufacturer of tools makes one starting at about $50 for a Dremel all the way up to $400 for the Fein SuperCut. Because oscillating tools can perform a variety of tasks from cutting, to sanding, to scraping, and grout removal they are a very useful tool to own. Thank you, Chris - very helpful and detailed reply. Thank you for the "Best Answer". Thank you for joining the community. I agree with Chris that the specialty tool would be pricey but since you have multiple windows to repair it would be a good idea to purchase a jamb spreader. It will make all of your repairs much easier and also not damage the frame of your windows. Since the manufacture has said to use heat to complete your repair that suggest to me that if you cut the channel it most likely will void the warranty on the windows. Normally any alterations to a window will void the warranty. So hopefully you have not already cut the channels to your windows if the warranty is important. Home Depot doesn’t offer a jamb spreader but there are a couple other companies that do so just Google jamb spreader and see if there is a company around you that offers them or just order it online. I found a good video of how they work. Click here to see the video. I hope this has helped you with your window repairs. Let me know if you have any other question. I would love to help. Thank you, Christine - very detailed and helpful answer. I looked at jamb spreaders early on in the process. They are expensive and the manufacturer of the window discourages their use. I'm afraid this is an issue to which there is not a fully satisfactory answer. The current version of the windows (which is actually high quality) includes notches with cover-up sections. 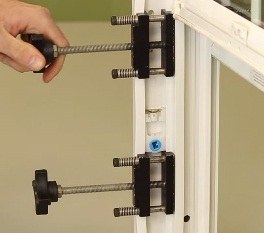 The vinyl window jamb spreaders sold by either swissco or strybuc are the very same jamb spreaders and are worth every penny especially if you have more than just one vinyl window in need of pivot shoe replacement. You can indeed notch a "one-off" window however depending on how steady your hands are will determine how unsightly the notches will end up. At the end of the day it boils down to aesthetics, number of vinyl windows in need of repair, factoring in time, etc it made sense to purchase this set of $148 jamb spreaders. I have over 20 vinyl windows installed in 1986 which have been carefully maintained for almost 30 years however yearly cleanings and normal wear and tear have taken their toll. Pivot shoes wear out, pivot bars either break or in my case rust out leaving the inevitability each and every window will require repairs. Jamb spreaders are worth every dollar, make a difficult inconvenient repair a little bit less stressful.